There is widespread fake news on the internet on the question of can a seller back out after accepting an offer in NYC. We’ll explain in the article when and why it’s acceptable for either the buyer or seller to back out of a real estate deal in New York City. Can a Seller Back out of an Accepted Offer in NYC? Will a Seller Owe Commission by Backing out of an Accepted Offer? Can a Seller Back out After Inspection in New York? Can a Seller Back out of a Contract Before Closing? 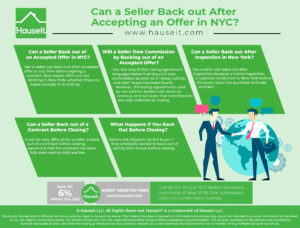 Can a Seller Back out of a Home Sale Before Closing in NYC? Can I Back out of Selling My House Before Closing? Yes. A seller can back out of an accepted offer at any time. Real estate offers are not binding in New York, whether they are made verbally or in writing. 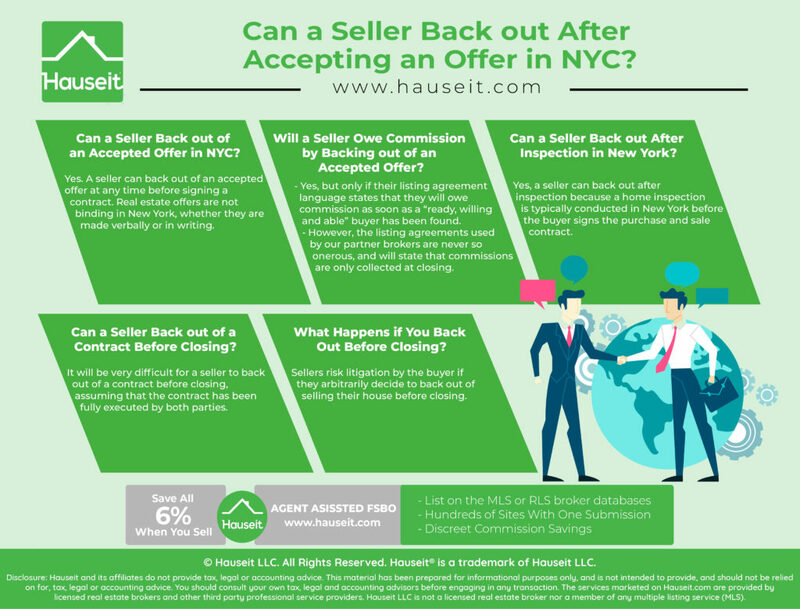 It is very common in NYC for sellers to back out after accepting an offer because they just received a higher offer from a different buyer. In fact, a seller can back out of an accepted offer even if they’ve just concluded a more formal best and final offer selection process and notified the winning buyer. As we’ll discuss in later sections of this article, the only time an offer becomes binding for each respective party is when they sign the purchase contract. Even though many old school Exclusive Right to Sell Listing Agreements will have language that says a seller will owe commission as long as a “ready, willing and able” buyer is found at the list price, this type of language is quite rare today in New York City. 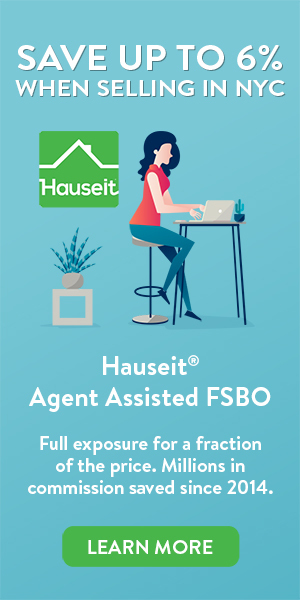 If the Property is sold pursuant to this agreement, you shall pay Broker a Fee for Service equal to ________% of the total sale price of the Property. This Fee for Service shall be due and payable whether the Property is sold (a) to an independent third party, (b) to the Board of Managers of the building in which the Property is located (exercising its right of first refusal), or its designee, or (c) to a current lessee of the Property. As you can see, sellers rarely agree to language that forces them to pay commission as long as a bona fide buyer has been produced. That sort of language, if enforced, would enormously complicate a sale process as it would tie the seller to accept the first offer produced that matched the listing price. It would severely reduce the seller’s flexibility to conduct a best and final offer or to induce a bidding war! Yes, a seller can back out after inspection because a home inspection is typically conducted in New York before the buyer signs the purchase and sale contract. As a result, the accepted offer is non-binding and there is no prohibition against either party backing out of an accepted offer or renegotiating the deal. You can either agree to the concessions demanded to move forward with your home sale, or you can negotiate. If negotiations don’t pan out, a seller can back out after inspection and so can the buyer. As a result, just because you have an accepted offer doesn’t mean you have a secure deal in hand. That’s why sellers will sometimes send out contracts to multiple interested buyers and accept multiple offers as a way to ensure that at least one party will come through. Furthermore, sending out multiple contracts and accepting multiple offers may instill more of a competitive atmosphere to the buyers’ due diligence process. 1Homes are sold as in in New York, meaning it will be unusual for sellers to agree to make repairs or renovations as a condition of closing. This is why further negotiations during contract review and due diligence will usually result in a price concession vs the seller agreeing to do physical work. It will be very difficult for a seller to back out of a contract before closing, assuming that the contract has been fully executed by both parties. The only way a seller can back out of a real estate contract before closing without risking litigation is if one of the buyer’s contingencies are activated. However, if a contract has only been signed by the buyer, a seller can still back out of a contract before closing. That’s because purchase contracts are only binding for each respective party once they have signed it. Since the seller is traditionally the last to act, a deal is not binding for the seller until they have counter-signed and fully executed the purchase contract. Furthermore, the deal is considered fully executed only once the seller’s attorney has couriered original, fully signed contracts to the buyer’s attorney. Keep in mind that because the contract is binding for the buyer, it’s common courtesy for sellers to counter-sign the contract within a couple of days. Otherwise, it’s polite to decline and return the signed contract and good faith deposit back to the buyer. It’s very stressful for the buyer to have a real estate contract and 10% of the purchase price in the air! Pro Tip: It’s not uncommon for sellers in NYC to accept another offer even when they’ve received a signed contract and deposit (in the seller’s attorney’s escrow account) from a buyer. The seller is not bound in any way until they’ve counter-signed a contract! It is very difficult for a seller to back out of a home sale before closing, assuming that they’ve counter-signed and fully executed a purchase and sale contract for their property. If sellers arbitrarily back out of a home sale before closing, they risk being sued by the buyer for damages. Damages can include time wasted, money spent and lost opportunities to purchase other properties. Or a buyer may even claim that during the time they lost by being in contract on your property, the market has risen so now they have to pay more to buy an alternative home. As a result, the only way a seller can back out of a home sale before closing is if one of the buyer’s contract contingencies are met and the buyer decides to walk away from the deal. For example, perhaps the coop board rejected the buyer’s coop board package in what’s known as a board turn-down. This will obviously enable both parties to back out of the contract before closing. Another example is if the buyer has a financing or mortgage contingency and is rejected by their mortgage broker or bank in a bona fide attempt to secure a mortgage commitment letter. This will allow a seller to back out of a contract before closing as the buyer won’t be able to finance the purchase and will wish to walk away. A seller can also back out of a contract before closing if both sides agree to do so. For example, our partner brokers had a Realtor commission rebate client who lost his job days after signing a contract. He asked to be let out of the contract and the seller agreed to do so because the seller was simply a nice person. As a result of both parties amicably agreeing to part ways, the seller was able to back out of a contract before closing. No. As we’ve discussed in the previous section, you will risk litigation by the buyer if you arbitrarily decide to back out of selling your house before closing. Once you’ve counter-signed the purchase contract, the deal is final barring any contingencies being met. For example, perhaps you agreed to a sale or Hubbard contingency in the contract. If the buyer fails to find a buyer for their current home, they can terminate the contract in which case you can back out of selling your house before closing. Remember that you can always terminate a contract if both parties agree in writing to do so. Please consult your real estate attorney on all matters related to contracts for your deal. Sometimes, just being nice to people will go a long way if you have a serious change of heart and wish to back out of a real estate contract before closing! How Long Does It Take to Close on a Co-op in NYC?